Big Hero 6 is turning out to be a bit of a conundrum for Disney, in particular, but also for Marvel as both parties must explain what one has to do with the other on this synergistic animated movie. 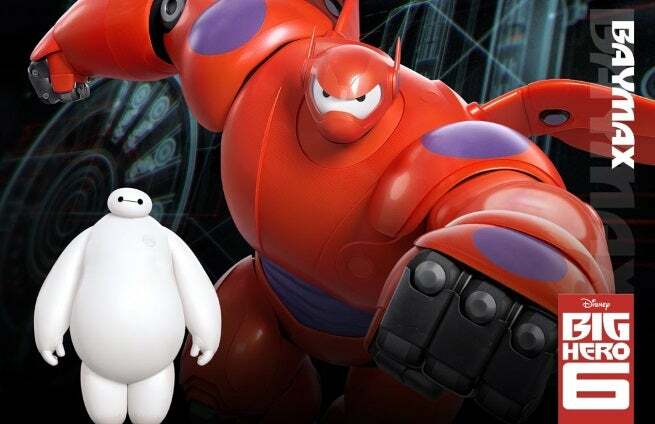 As the release date for the film approaches, Disney creatives have had to field more questions about whether Big Hero 6 will be an animated introduction of the Marvel Cinematic Universe. Marvel higher-ups have had to distance themselves from the property as well. Unfortunately for the film, this confusion may have more people scratching their heads than actually watching the movie. However, when you do see the clips and trailers, you realize what a slam dunk the idea is of Disney Animation having a little-known Marvel property from which to mine stories and characters. Big Hero 6 is Marvel and Disney Animations first “collaboration”, which has actually been characterized moreso as an adaptation of the manga comic, rather than a straight partnership. The way Disney looks at Marvel Comics characters as the “new fairytales” and treats their characters the same way they see Maleficent or Snow White, literary precursors free for interpretation. Big Hero 6 is a Disney Animation production, first and foremost. ComicBook.com sat down with writers Robert Baird and Paul Briggs to address some of these concerns about confusion. Baird and Briggs noted that they avoided reading the comic even after director Don Hall brought it to their attention, making it very clear that this cartoon had nothing to do with the source material beyond the title and character names. Baird also noted just how important Baymax is to the story. The writers said that they had to be very protective of his character to not have him stray too close to human emotion. Big Hero 6 is due out in theaters on November 7, 2014.